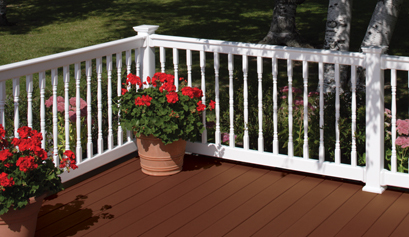 WeatherWise™ boxed railing brings to you the future of outdoor porch and deck railing. Safe, Secure, and available in various modern designs, WeatherWise™ Vinyl Railing offers you the look and feel for any home, and comes with a lifetime warranty. 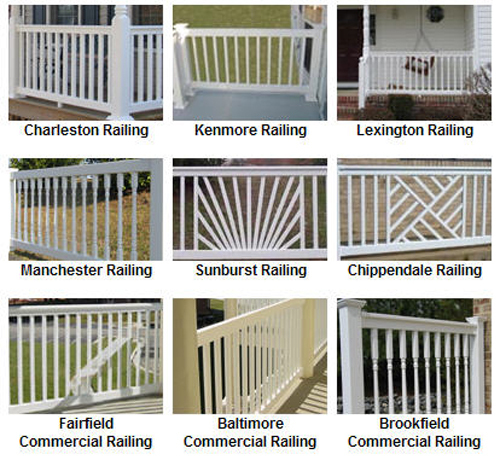 WeatherWise™ railings offer you worry free maintenance, so no more sanding and painting. Most of all, WeatherWise™ railings are in full compliance with Chapter 16 of the IBC and BOCA codes when tested in accordance with ICC-ES, AC-174 as evaluated by Architectural Testing, Inc.